Here are a few examples of itineraries I have created. Use them to get an idea of what might be possible on your trip, but know they are really just a starting point! This trip was designed for a family visiting Israel for the first time. The idea was to create a diverse itinerary that would give a great introduction to the country, hitting many different regions and covering very diverse topics. Since it was in the middle of the summer, we avoided going to the Negev, Israel’s southern desert. Wed – Jerusalem New City neighborhoods, Mahane Yehuda Market. Transfer to Ben Gurion Airport for Departure. This trip was designed for two women who had been to Israel before, but wanted to visit the Negev. 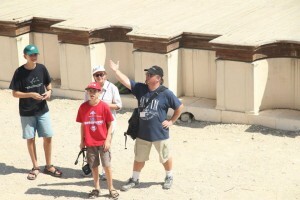 Additionally, they wanted to fit in a day trip to Petra as well. Thurs – Avdat National Park. Carmei Avdat Winery. Sde Boker: Ben Gurion Grave & House. Kibbutz Revivim. Drive to Tel Aviv. 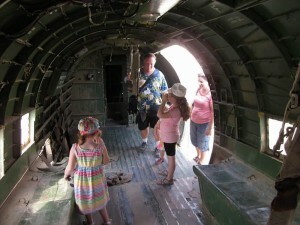 Additionally, here are two blog posts I wrote about one-day tours I gave in the past. One is a tour of the Old City of Jerusalem and the other is a trip to the Negev to look at environmental issues.